Something huge happened recently. I took a Major Exam that scared me to death. It was painful to prepare and study for and on the day of, I was all nerves. I could barely eat or drink or muster conversation (a difficulty considering it was an oral exam...). Afterwards, I felt completely drained. I went to sleep early and found myself still tired the next day. It was so mentally taxing! I made all these plans while studying as to how I would celebrate the completion of my exam but soon after I was overwhelmed by relief and had no idea what to do with my newfound free time. To recover I brewed myself some tea. Tea is really perfect for all occasions. 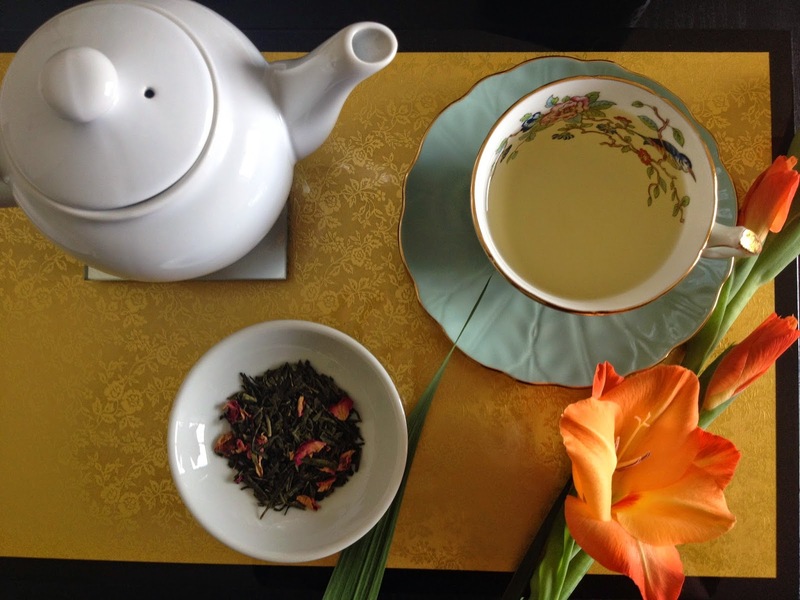 I made this lovely cherry blossom rose from Capital Teas. On a recent trip to Washington D.C., my sister purchased this for me from a company I had never heard of before. 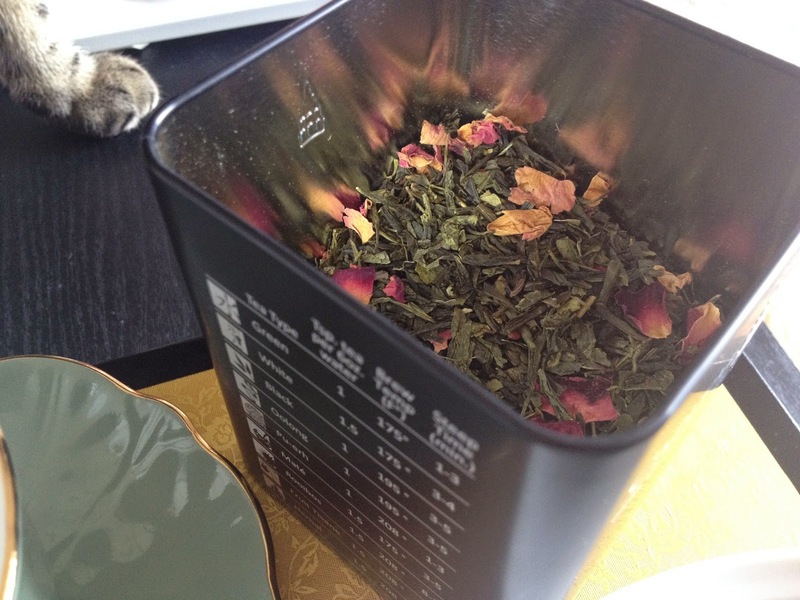 I'm so glad I got introduced to Capital Teas and even happier that they have a online store. The tea smells absolutely delightful! Like walking in a garden and being greeted by the soft scent of early spring. 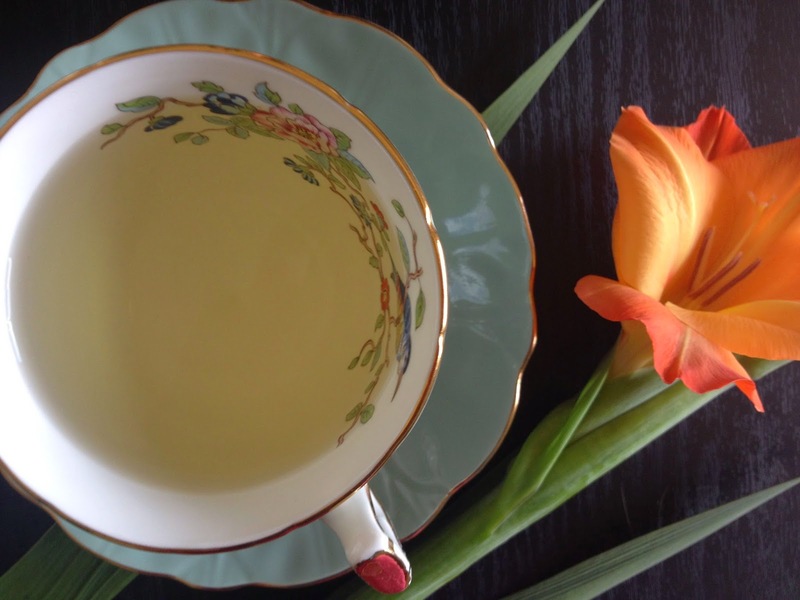 The fragrance is light and the tea is quite robust (for being green). 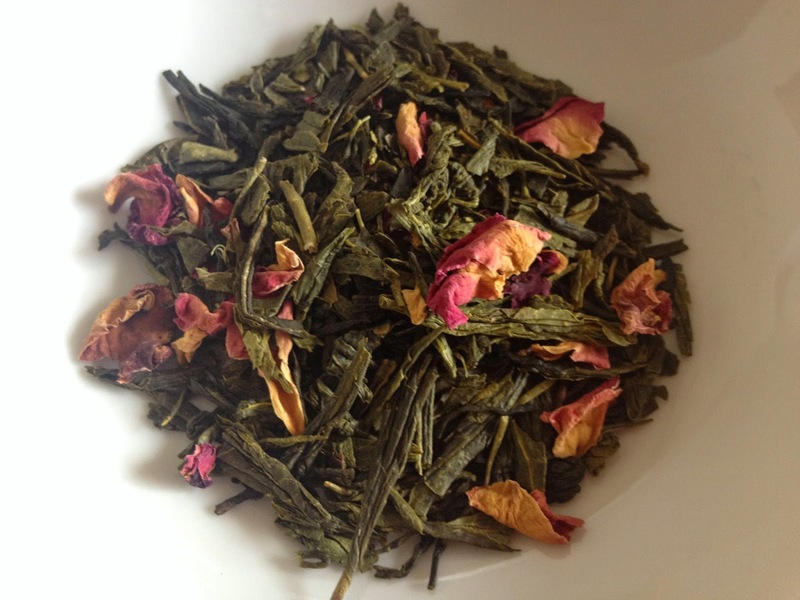 It has a higher tannic content than regular sencha so the finish is slightly bitter. If you put in less tea leaves I am sure it will hardly be noticeable. I tend to stay away from heavily fragrant teas but this one is very lovely. It helped me relax after my trying ordeal. Hurrah for gladiolus season! I have such trouble keeping the flowers from falling over but I find these dramatic blossoms hard to resist. Every weekend this month I have found myself hugging an armful of colorful gladioli and praying they will stand tall for at least a week. I can't wait for the official start of fall. I am so ready to be done with this difficult summer! Ito En's Chiran Yutaka Midori Shincha "Artisanal"